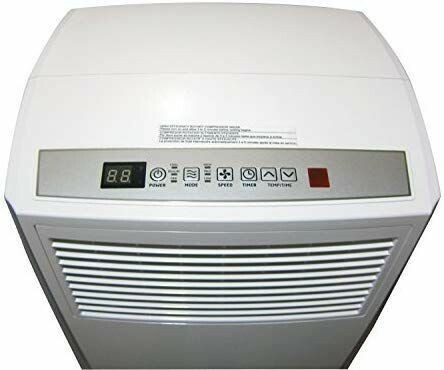 Description: This 8,000 BTU portable air conditioner is ideal for spot cooling small rooms up to 250 square feet. 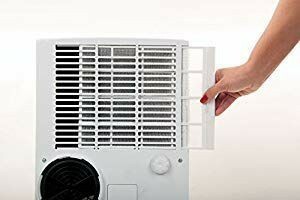 With three cool settings, three fan settings, a 24 hour on/off timer and dehumidify mode, this single hose model is equipped to meet your interior climate needs. A Quick Install Window Kit is included for exhausting the unit through any horizontal or vertical opening window and fully directional casters provide mobility. Maintenance is minimal with a slide out washable mesh filter and Auto Evaporation technology makes manual draining unnecessary. Haier 8000 BTU Portable AC unit is perfect for your house, garage, RV, or Camper. It's almost that time of Year, don't miss out on this one!! !